A man was arrested for being drunk and disorderly at Creswell train station car park after an ambulance crew became concerned he might end up being hit by a car. 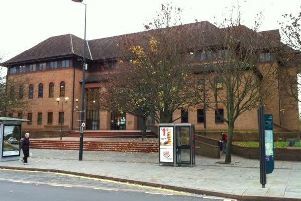 Chesterfield magistrates’ court heard on Tuesday, January 3, how Christian Pashley, 35 of Wood Avenue, Creswell, had consumed a bottle of vodka and was rambling and abusive and was kicking out when police arrived at the station. Prosecuting solicitor Becky Allsop said: “The ambulance service was called to Creswell train station and were trying to deal with a heavily intoxicated male but he was not allowing the ambulance service to help him and they were concerned he would be hit by a passing vehicle. Pashley, who accepted the prosecution case against him, pleaded guilty to being drunk and disorderly in a public place after the incident on December 14. Magistrates fined Pashley £80 and ordered him to pay £85 costs and a £30 victim surcharge.